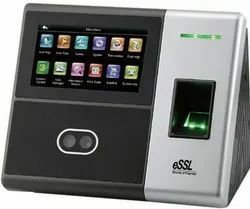 Leading Manufacturer of face and card reader, face finger card attendance system, face recognition system, biometric attendance machine and face recognition time attendance system from Mumbai. As an esteemed company, we are engaged in providing the broad spectrum of Face Reader that finds application at various places. Precisely designed at our advanced processing unit, using the best grade basic material and latest technology in adherence to universal norms, it is highly acclaimed in the market. In ahead of their final dispatch, this reader is checked by our quality inspectors on well-defined parameters set by the industry. 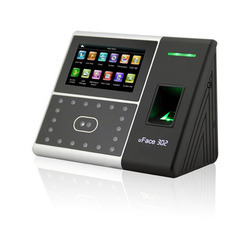 Our company is extremely engaged in providing a comprehensive range of Face Reader Biometric Attendance System to our valuable clients. This product used at places, where security is the matter of concern. This system is designed using superior grade material and progressive techniques in synchronization with latest market norms. Apart from this, this system is widely acknowledged among our prestigious clients for its optimum performance and reliability. Our company holds immense experience in this domain and is involved in offering an enormous quality range of Face Recognition System. 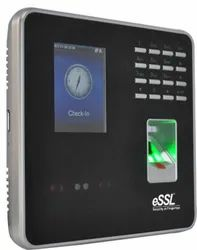 This Face Recognition System is used to recognize face of the employees to create high level security at the premises. Besides, these products are manufactured by making use of top quality material that ensures its longer service life. 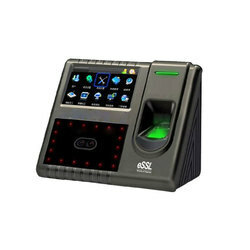 Our organization has gained recognition as a flourishing organization for providing Biometric Attendance System. Offered access system is designed using optimum quality components and innovative technology under the guidance of vendors’ experts. The provided access system can be availed in different specifications and customized options in order to cater the demands of our clients. Besides, we offer this access system to our clients at nominal prices. Owing to our rich market experience in this domain, we are indulged in offering a comprehensive range of Face Recognition Time Attendance System which takes the attendance of an employee by recognizing the face. The offered system is widely appreciated in the market for its various quality attributes like optimum performance and unique design.